Kind of. I never had chance to play the Xbox version. What other things are still broken / missing in PC compared to ps2, xbox, mobile (or even broken in all versions)? I am curious because I am not up to date and thought this was one of the last things left that hadn't been done. Well even the xbox versions of gta 3 and vice city are not perfect. I can't remember with gta 3, but in vice city, the palm trees and helicopter rotor blades are broken - I think this was an alpha transparency bug. Pretty sure this isn't a problem in PC. I think it was a problem in the PC version of SA but Silent then fixed it in his patch? Again, not sure if this applies to 3 as well as vc. Really, our best bet is to try and make the PC versions of all of the games the "ultimate" versions. I suppose the xbox versions themselves could be modded too, to fix those issues, but I'm not sure how easy that would be, and are also limited to 640*480 on the Xbox (or 720p on 360 but they don't work very well on 360, esp VC which has massive emulation glitches (the RC biplane mission on the top of the multi-story car park for example)). 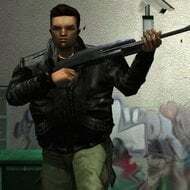 But yes, from someone who has played through gta 3 on the xbox, for me they added a nice bit of animation to something that always looked really ugly on the other versions of the game. I haven't got around to playing VC on my xbox yet though, as I was waiting to see if there was a way to fix the palm trees and helicopter blades, or if the xbox features had been ported to pc so that I could play it that way. ^ Xbox emulation on the 360 is terrible in most games, especially III and VC. Those games actually run at 480p (854 x 480p) in widescreen mode. Original Xbox is capable of 720p but I'm 90% it's upscaled. 360 emulation is upscaled too. I read that they were going to add 720p support for the original Xbox but couldn't due to ram issues affecting performance. Unfortunately, I can't test this for myself as my xbox is currently unmodded. I don't ever plan on adding more ram to it as that seems a lot of effort for not much point. However due to MSs stupid decision to not allow EU customers to run in progressive mode, I can't even run 480p with component. So I need to mod my console to enable that. But on the 360 it definitely can run at a higher resolution. I set my 360 to run at 480p and then 720p and you could definitely see a resolution increase. I was surprised myself but then I googled it and found other people mentioning it too. The bugs are overblown on all versions. I just want to play it at least one time to see it. Why not just buy an xbox? I got me one for about 30 bucks a year ago so i could see the stuff I wanted to port with my own eyes. I'd rather wait considering upscaling the res might be possible. I have a modded console and 720p is available though I cannot connect it to an HD display currently. Can your 360 run this game in widescreen mode? Mine only runs in 4:3 with GTA 3. I did a PC vs Xbox comparison and I can readily tell the Xbox version on 360 runs at 480p (you can test this yourself by comparing it with a native Xbox 360 game). It may look better in 720p as you say but it's not true 720p, at least not on my end. It's most likely upscaled. Edit: While I was doing this I checked the first cutscene again and it seems the rimLight feature works correctly. Currently with these mods and the Xbox mod the PC version is definitely superior. I can't wait to do another playthrough in 4K. Edited August 18, 2016 by Kristian. If you play Android version (just like me) - that's right. But I think that on iOS characters have animated hands. Can anyone confirm that? 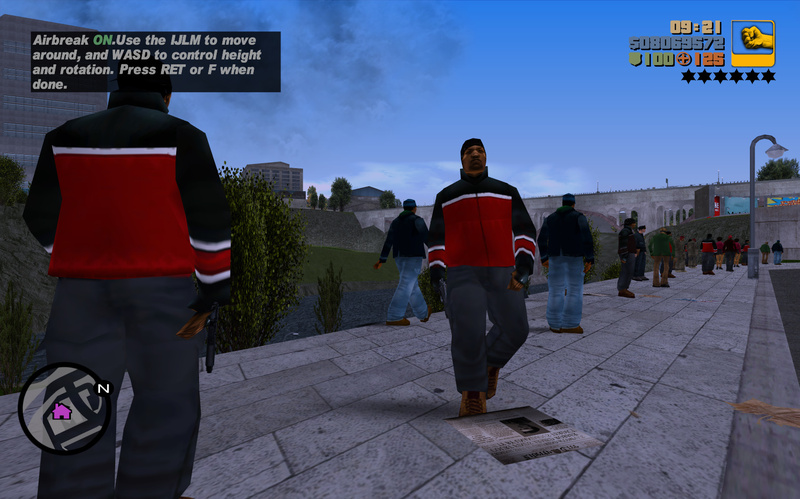 First thing before i checked it on android myself i looked up for iOS gta 3 on gta series video and no animations. I couldn't find the widescreen option on a quick test. I think it's there in vice city though? Not sure. I will have to test properly later, once I can get both the original xbox and 360 sorted. 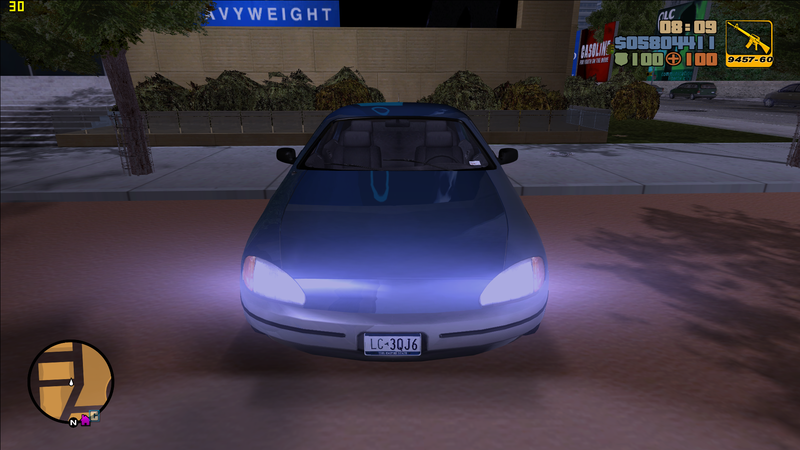 One thing I did notice is that the headlight coronas mentioned in the silent patch work on xbox. However the light glows on the ground under pickups don't work on xbox. Not sure if road reflections or anything else is broken on xbox gta 3 - seems just the light glows under pick ups so far, but I could be wrong. Of course ped speech is an issue but might be better if the game is run from a HD rather than DVD so I won't list that as a bug until I can mod the xbox to see. Vice city on the other hand is missing way more, with way more broken - mind you I assume that is the same between pc and PS2 aswell. Just little things like the newspapers being the same as from gta 3 and stuff. It's like they didn't care. But yer, so far I'd say gta 3 is probably better on xbox due to finger animations not having a mod for pc, and any other graphical effects from the xbox that the PC hasn't managed to mod in that well (not sure if car reflections and lighting are the same for example - the videos of mods for pc trying to emulate it always looked rather "overdone" and "brash" in comparison but that could be out of date info). For vice city though, it's well up in the air. If the palm tree transparency and helicopter rotors can be fixed, along with all the other bugs from the PC version with the map / textures / whatever, then fine, mod the xbox image and play there. If not then the xbox stuff could do with properly porting to pc, as the cutscene finger animations and models add a huge amount to the presentation. GTA 3 doesn't use seperate cutscene models, so the better fingers etc are all added to the ingame models (as they are the same), where as in Vice City xbox, the ingame models are still all "claw handed" and all. I'm guessing they didn't update the ingame models? Maybe they did but they certainly don't have the higher quality hands etc. While I was doing this I checked the first cutscene again and it seems the rimLight feature works correctly. Something to do with how vehicle wheel rims are lit? Which versions of the game is it broken in? PC or Xbox too? And can you give a screenshot example of broken / working so I can understand what you mean? Car reflections are actually better with this mod because you can tweak them. Or you can keep the original setting. Personally, I set the size to 2048x2048 (Xbox is 128x128). They are completely accurate. The Hero literally took the code and files from the Xbox version. It's not just an imitation. Cutscene hands are nice but not all that important in my opinion. On PC, you can play the game in a much higher resolution, bump up the quality for effects, enable anti aliasing, much more stable frame rates etc. I can't wait to play this game in 4K in two or three months. I'm never going back to the 480p that the Xbox offers. rimLight is the lighting effect on characters. When you move the camera you can see changes in light on Claude's model for instance. It's more noticeable in cutscenes (especially the first Luigi one, the way their suits reflect light). He nailed that feature as well. I double checked. Edit: I'm not sure whether FXAA even works with this game but still, you can make the PC version better with mods. Edited August 19, 2016 by Kristian. Oh I think I know what you mean, the kind of odd gloss effect on his skin especially. It almost looks like a kind of "inverse" ambient occlusion hehe. Were there any patches for the games on the original xbox? It´s really hard to search for this information cos you just get loads of info about other versions of the game or even other gta games. I know that on the 360 it downloads something for the gta 3 / vc backwards compatibility, but I don't remember if that was compulsory for it to even let you play the game or not. If not, then that might help you with your lack of widescreen. Thing is I don't know why people would want to play them in widescreen - the games were clearly designed for 4:3, and playing them in widescreen just stretches the 2d interface / other sprite elements, as well as cutting off the top and bottom of the play area. This chops of the top and bottom making the framing of the cutscenes rather horrible at points. Of course there are patches for pc but I haven't tried them as I haven't played it on pc in a long time and also don't mind 4:3 anyway. Yeah. That's a major issue with this mod. Is there any way you could re-enable collision for body parts? Without the ability to shoot heads you won't be able to complete certain rampages. I don't care if you can no longer dismember people as long as a headshot registers as a headshot to allow us to complete these rampages. R* don´t care about a 15 years old game. bbbut they care about money! Yes they do, but with the old games they will earn no money any more. Bug hope of who can fix, so there was a lot to Flipped Skins of this Skin and Bones!! only cutscene peds have on xbox the thing u call xbox hands. Normal peds are just smoothed on xbox. That's because the texture comes like this on the Xbox. Just turn it around, and that's it. Have anyone noticed that Oriental Gentleman's hands on Xbox/mobile are not textured? When I checked the texture file I can see that the hands are there so it seems that it's bad mapping I guess? The hands are missing a texture called luigi256. Just export it from luigi.txd and add it to ojg2.txd. Probably Old Gentleman aint used in game and on xbox version hands in cutscenes are replaced with animated one, that's why Vienna didn't notice it. I even posted a topic on the GTA III forums here. But finally it turned out that this is not GTA3 related glitch but it was caused by Skin & Bones. When I don't use Skin & Bones the glitch doesn't exist.